You are here: Home » Do You Know 12 Secrets About Something? We are constantly looking for writers and contributors to help us find the next great 12 Secret article. 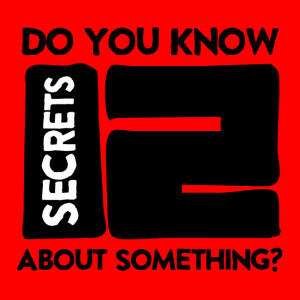 If you know 12 secrets about something why not pitch it to us and maybe we’ll feature your story right here at 12 Secrets! It’s not complicated and we’ll even give you instructions and a format to follow to make that much easier. Fill out the form below to contact us and we’ll typically get back to you within 48 hours. If you’re really good and know lots of secrets about a lot of things it may even turn into a paid gig!